Tween fashion can be fun and stylish. Girls and guys at this age are discovering what clothing styles best suit their personalities, and they may be more interested in putting together outfits. Discover some of the current fashion trends and how tweens can develop and incorporate their own sense of style into their wardrobes. Fashion trends for upper elementary and junior high children may take cues from what is popular in teen styles, but have a slightly different vibe. Styles that are typically unpopular with tweens are those that mimic looks in the girls' or boys' departments (such as matched sets of tops and pants). 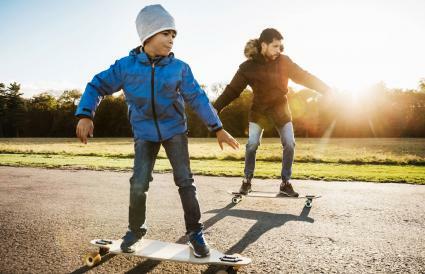 Instead, look to pieces that incorporate both contemporary fashion styles and have functionality that allows tweens to be active. Tween girls tend to want to begin experimenting with fashion. Even if a girl doesn't identify herself as a fashionista, she may begin to define her style in choosing clothing pieces that reflect her interests and personality. Some of the popular looks for girls among this age set include the following. Comfortable, versatile, and great staples for any tween, skinny jeans and stretchy leggings are popular looks. They pair well with a number of tops and can transition well from season to season. Pair them with graphic tees, long tunic-style sweaters, loose tank tops, peasant style shirts and more. Ballet flats, athletic shoes, and boots all work well with these bottoms. 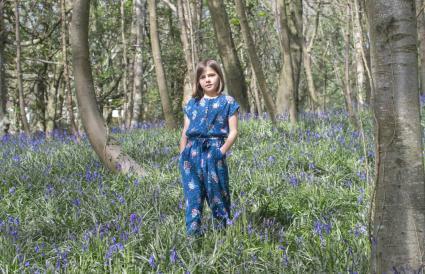 Jumpsuits for tweens combine the sophistication of today's fashion bloggers with practical style. Jumpsuits and rompers come in a wide range of patterns and colors, and are often done with wide legs for this age group so they are flowy and comfortable. Trends to try include stripes, checks, and polka dots. 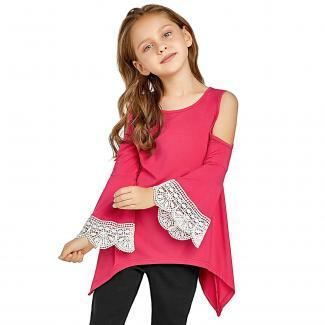 Cold-shoulder tops and dresses are another popular look for teens and adult women that has translated to the tween department. Tween girls often like the sophistication of this look, and it's a great look for the hotter summer months. Tops with floral patterns, done in denim, or that incorporate ruffles are popular. Check to see if cold-shoulder tops or dresses are permitted within your child's dress code; if not, they make good options for after-school clothing during the spring and summer months. Whether it's scarf-inspired prints, big ruffles, or on trend-colors like pink and coral, another trend is to create unusual or quirky outfits. This may be in part because tween girls are experimenting with different fashions and trying to find what fits them, and it's also a way to take current trends and make them into something more unique. Girls may also create eclectic outfits inspired by street looks or their favorite tween fashion influencers. 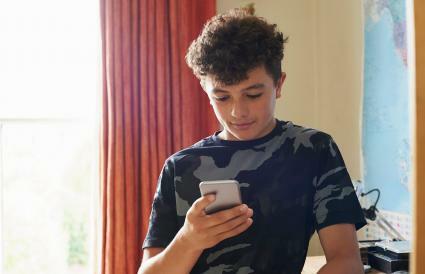 Tween boys may be really into fashion or not care; either way, items that are comfortable and make them feel good about themselves will fit the bill. Guys at this age may need to have an outfit or two that's appropriate for giving a speech or oral report at school, so encourage him to try out a few dressier looks even if he gravitates towards athletic wear for every day. Whether in denim or khaki, straight legged and skinny pants and jeans are a trendy and great look for tween boys. They allow for being active while still looking stylish. They pair well with button-down shirts, plain or logo teens, hoodies, polos and other tops. Athletic or casual shoes work well with this look. Whether in geometric patterns, checks, stripes, or even Hawaiian or floral prints, guys tops in brighter and bolder colors are trending. These are great for guys to get expressive with favorite colors. Pair these with simple, solid colored bottoms so the look doesn't clash. Loose athletic shorts and active wear tees, especially from brand name sportswear labels, is also popular among bays of this age. It's practical for boys involved in sports, but it's also popular as an effortless style. Pairing loose-fitting athletic shorts and tees with colored cre socks is also popular. There are lots of items on the teen fashion list that are equally popular among tweens of both genders. Bother joggers and hoodies tend to be staples in tween wardrobes, and these come in a world of different styles. You can find everything from ultra-casual joggers to dressed up khaki versions. Likewise, you can find loose-fitting hoodies alongside fitted or structured versions that can be paired with dark denim or dress pants for a relaxed but sharp look. Camo Prints are another popular items, and can be found in many current tween fashion styles, including hoodies, pants, shorts, tops, and even undergarments. Colors vary, with traditional camo print popular alongside blues and other colors. The 90s vibe is new again ciurtesy of the denim jacket, and this cool and functional staple is great for tweens. Durable, easy to style, and versatile enough to be paired with numerous outfits, current denim jackets are often simple and unembellished. 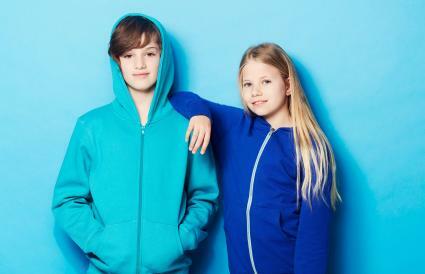 Does tween clothing design cause children to grow up too quickly? Some argue that the children in the tween clothing industry's target age range (8-12) should be able to keep their fashion innocence a bit longer. The tweens themselves, though, are loving the looks as it coincides perfectly with this age group's typical mentality of wanting to grow up quickly and become a full-fledged teenagers. 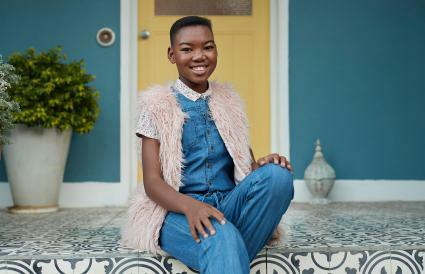 Some very famous and grown up labels are hitting the tween scene, while others are finding the start of their success within this age range. No matter how you look at it, fashion for tweens has made a big impact on the apparel industry and has also led to a fair bit of controversy. Talk to your child about what they want their clothing to reflect - their personality, interests, and hobbies. Encourage choosing clothing that reflects their best sense of self. Allow kids to try different clothing styles and put together their own outfits. This can help foster self esteem and may help kids find clothing that makes them look and feel good about themselves. Discuss and set some guidelines in advance, but be a little open to compromise. Maybe your son tries a button-down you picked out while you agree to let him try on an oversize jacket in a bold pattern. 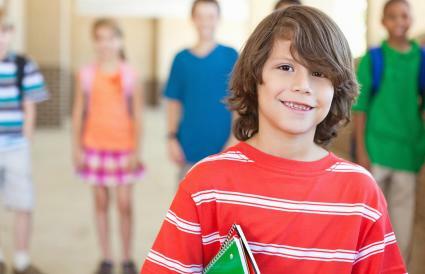 Parents can also give tweens a little more leeway when it comes to after-school clothes. Add a personal style stamp to clothing. Using accessories, choosing favorite color combination, and getting creative with layering pieces can help kids to feel a sense of ownership over their clothing. If your concern is not the way tween clothing looks but rather where to get it, your options are literally endless. Almost all major department stores carry a strong tween line and countless websites are also devoted to this group of shoppers. Special are also designed specifically with the tween in mind. Some of the most popular tween brands include Abercrombie Kids, Hollister, Mossimo, and American Eagle, though there are many other trendy and athletic stores that are popular with tweens, ranging from H&M to Old Navy. Taking your tween with you to try on clothing is the best choice when shopping for current fashion styles. Keeping tweens happy and fashion-forward can be challenging in today's society where they encounter so much pressure to grow up fast. However, with a little education, a little bit of compromise and a lot of patience, you and your tween will be able to find a balance and a wardrobe that will make the both of you happy.